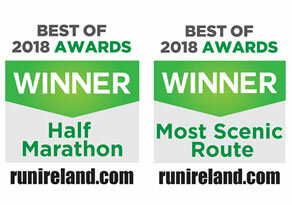 Website users who contact us through sending an email message to info@achillmarathon.com should be assured that the data submitted is not stored on our website or any database, nor is it passed to / processed by any third party other than the necessary stages of an email message through the servers of our email provider. Personal data sent via email will only ever be used for the purpose for which it was supplied, which is typically to respond to your inquiry. All online bookings for the Achill Half Marathon or 10K are handled by a third-party company, Active.com, which has its own strict policies on data privacy.